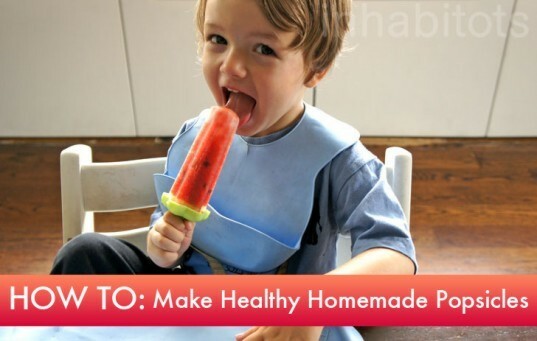 HOW TO: Make Homemade, Healthy & Delicious Popsicles That Will Beat the Heat! This summer’s been one of the hottest yet, but if you’re already sweating from the intense heat, you can rest easy — I’ve got a sweet, refreshing treat that is sure too cool you down! Popsicles are a delightful and refreshing staple for the summer season, and I know personally that it’s hard to let a day pass without biting down on a delicious bar (or maybe 5…). But buyer beware — if you’ve been heading to your local supermarket for a box, you should know that not all popsicles are made equal. High fructose corn syrup pops laden with #5 red and #8 blue dye dominate grocery store shelves, and those yucky popsicles pose more of a health risk than an innocent indulgence. If you’re looking for a healthier — not to mention cheaper — alternative, your best bet is to make your own delicious and nutritious popsicles at home! Jump ahead for my easy DIY popsicle tutorial featuring one of my favorite recipes: Summer Strawberry Popsicles. 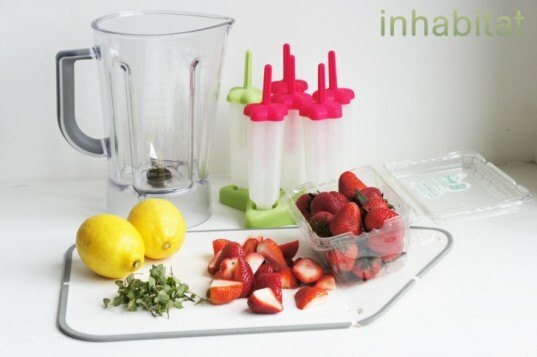 Not only will you be able to cool down with a batch of mouth-watering, refreshing and healthy popsicles, but you’ll have saved yourself money and time by making your own at home. 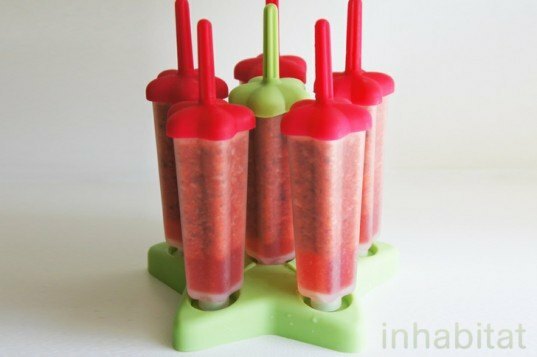 All you need is a freezer, popsicle molds and something sweet to put in ’em! There are plenty of popsicle mold options out there, but don’t settle on cheap plastic molds from the 99 cents store, don’t get the type of molds where you need to purchase your own wooden sticks constantly, and don’t bother trying to fashion your own out of ice cube trays. This move can only spell disaster, frustration, and disappointment when your yummy fruit cube falls off its toothpick and onto the floor. Investing in a nice set of all-in-one popsicle molds can exponentially enhance your popsicle making AND popsicle-consuming experience. 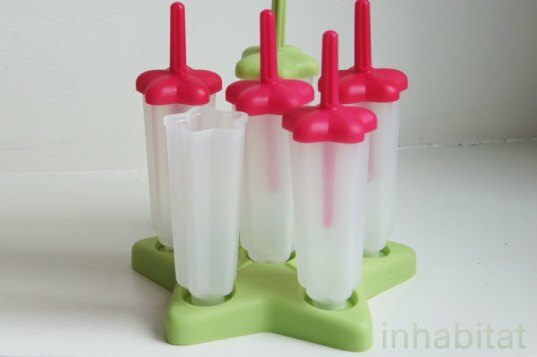 My hands-down favorite popsicle molds are made by Tovolo. These molds are infinitely reusable and come with their own sticks and trays so you don’t have to constantly replace them (another eco-bonus!). The Tovolo molds are quite inexpensive (all under $15) and they also come in an array of cute shapes and colors that will appeal to kiddos as well as your popsicle-loving inner child. 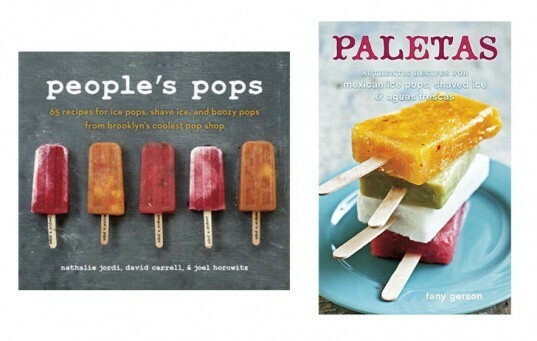 There are two ways to approach your popsicle creative process. You could start first by finding a recipe in a book (try Paletas or People’s Pops) or online for recipe ideas (try Inhabitots and Growing A Green Family), and then procure ingredients to fit your recipe. Alternatively, you can do what I do, and improvise by starting with the ingredients. (This is the fun, experimental way). Take a look around in your fruit basket, herb garden, refrigerator and freezer, and see what excess fruits and veggies you may have to work with and start there. Any summer fruit or berry (strawberries, raspberries, blueberries, blackberries, watermelon, cantaloupe) tastes heavenly mixed with a little lemon or lime juice, sugar, and a fresh garden herb such as mint. Bananas go well with cinnamon, chocolate, pineapple, and coconut. It’s fun to experiment and find out what works and what doesn’t. 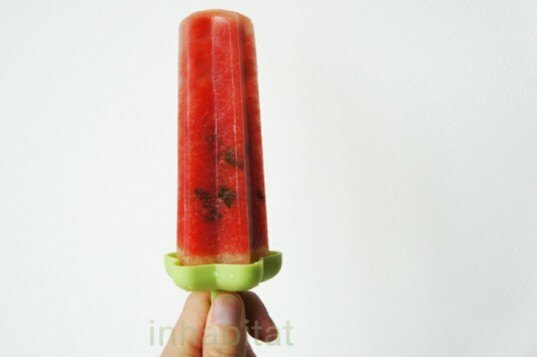 For this particular post, I’m going to demonstrate a simple strawberry popsicle recipe. Every homemade popsicle recipe has a few basic ingredients: fruit (or veggies), sugar, and water. Many recipes get an added flavor boost from extras like salt, chili, herbs (like mint or basil), and lemon or lime juice for an extra zing. Pretty simple. 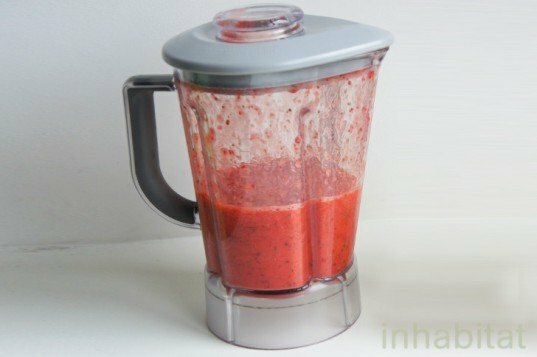 Just toss it all into the blender and flip the switch. 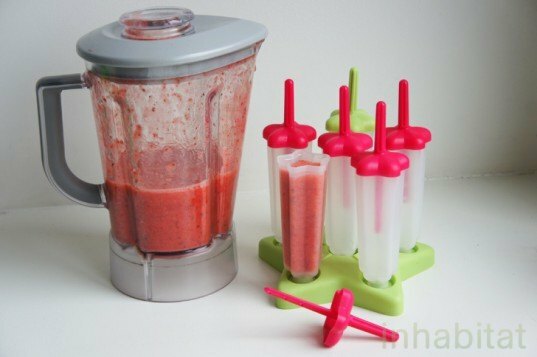 You want to create something that is smoothie-like in texture, for the richest, most flavorful popsicle. Your mixture should be just thin enough to pour, but not too thin so that it has a runny, watery consistency. Adding water to the point of a “runny” consistency will thin your concoction, which will yield a larger batch of blander popsicles. Pour to the top of each mold, and don’t spill. Make sure to wipe up any spills on the molds or tray before you put the tray into the freezer. I am always so anxious to try my popsicle creations that I inevitably always try to eat at least one (sometime more than one) before they’re properly frozen. This is not a good idea. Doing this will only get you a messy (albeit tasty) slushy that you have to pry out of the mold with a knife — this is not a pretty picture. Don’t be like me, and practice patience! When your popsicles are completely frozen, you will be able to tell by pulling on the stick. If the stick comes out by itself, your popsicle is not completely frozen. If the stick stays fast, your popsicle is frozen. When your popsicles are ready to eat, pull each popsicle out of the mold by first running hot water from the tap over the top of the plastic mold for about 1 minute, to unstick popsicle ice from plastic mold. After 30-seconds to a minute of the hot water treatment, your mouth-wateringly delicious popsicle should pop right out with a little tug. Enjoy! If you discover any great popsicle recipes of your own, please share them with us in the comments! Going to try it for sure! Ooh, that's my plan for the afternoon figured out! I'm adding a little rum on the ingredients list for the adults. Looks good. This is perfect! It's so hot today in NYC and it's going to be even hotter tomorrow. oh man. i need one! it's a scorcher in nyc today! I could sure one of these now! This summer's been one of the hottest yet, but if you're already sweating from the intense heat, you can rest easy -- I've got a sweet, refreshing treat that is sure too cool you down! Popsicles are a delightful and refreshing staple for the summer season, and I know personally that it's hard to let a day pass without biting down on a delicious bar (or maybe 5...). But buyer beware -- if you've been heading to your local supermarket for a box, you should know that not all popsicles are made equal. High fructose corn syrup pops laden with #5 red and #8 blue dye dominate grocery store shelves, and those yucky popsicles pose more of a health risk than an innocent indulgence. If you're looking for a healthier -- not to mention cheaper -- alternative, your best bet is to make your own delicious and nutritious popsicles at home! Jump ahead for my easy DIY popsicle tutorial featuring one of my favorite recipes: Summer Strawberry Popsicles. Not only will you be able to cool down with a batch of mouth-watering, refreshing and healthy popsicles, but you'll have saved yourself money and time by making your own at home. 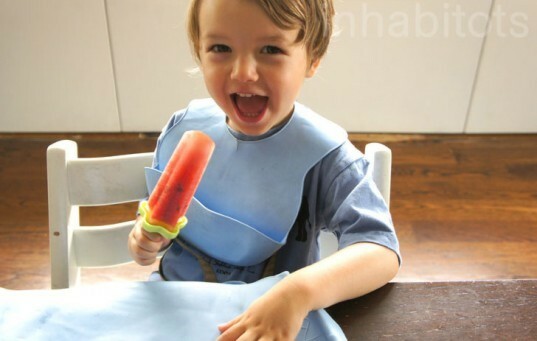 All you need is a freezer, popsicle molds and something sweet to put in 'em!